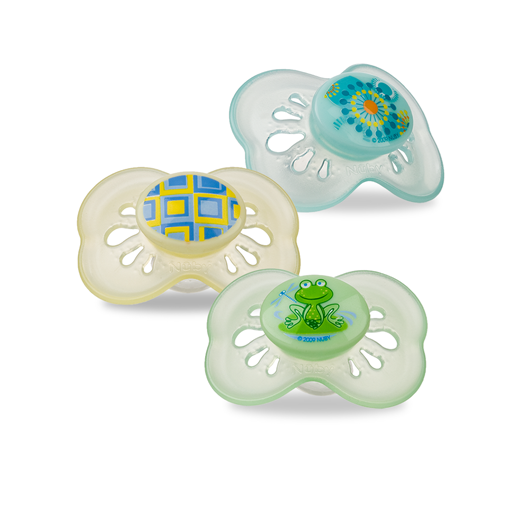 The Pastels™ Classic Oval Pacifiers are fun, modern and are available in a variety of pastel colors and prints. They feature a symmetrical shield and classic oval baglet with soft nubs along its rim that massage and stimulate your baby's gums. They also feature small bumps on the surface of the shield that allow air to circulate between the pacifier and your baby's delicate skin, reducing irritation.